Just the facts, ma’am.” That catchphrase, inspired by detective Joe Friday from the 1950s radio and TV show Dragnet, was meant to convey how agents of the law are required to keep emotions from interfering with their work. Even today, crime scenes are meticulously documented in photos, video, and notes taken by CSI agents so the evidence can stand on its own, helping to impartially recreate the circumstances of the crime. 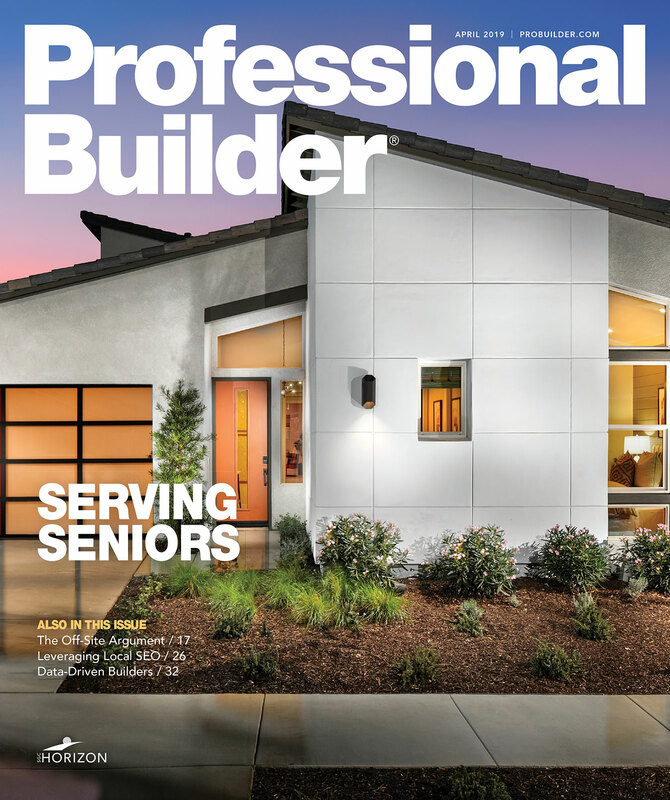 In contrast, for home builders, real emotion needs to be injected into every part of the content you create to market your offerings in a way that compels prospects to action. Yet some model homes and showrooms have about as much warmth as a crime scene. To really connect with today’s buyers, home builders and developers must make an effort to authentically engage with prospects on an emotional level. Let’s explore what this actually looks, sounds, and, most importantly, feels like. Words, photos, and video work together to tell prospects a compelling story about how your new community or home design will positively affect their lives in ways that outweigh the hassle of making the change or the inertia of remaining in their current situation. Stories can be a powerful way to connect with prospects. They can also greatly increase perceived value. I once attended a branding conference where the speaker conducted an experiment on the power of story. He had bought two nearly identical trinkets from a local flea market and then sold them on eBay. For one trinket, he included the basic details and a handful of generic photographs. For the second trinket, he composed an 800-word background story on the item going into great detail about the previous owners, the importance the trinket had played in their lives, and how it was one-of-a-kind. He also included more than 20 high-quality images and a brief video. By telling a more interesting story with the second item, he was able to sell that trinket for 900 percent more than the first item. Linda Lightman, a woman who earns more than $25 million a year from selling items on eBay, agrees on the importance of using images and text, working together, to tell a better story. In an interview on insights gained, she stresses that the potential buyer is relying on the images you’re supplying. Lightman goes on to share that the best eBay sellers know not to stop with the photographs but to extensively write about each item to more deeply connect with potential buyers. “Describe, describe,” she advises. Pictures are fantastic—bring ’em!—but compelling descriptions are needed to highlight the item. If these lessons are true for the sale of impulse items, then imagine their impact on buying a home­—the most important purchase of someone’s life. Now, let’s consider each element that allows you to tell that compelling story on your website. A recent Zillow study shows that new-construction listings with photos generated twice as many leads as those without any images, and that those with 30 or more photos received three times as many leads—that is, not simply views but actual requests for more information. Resale properties have an average of 15 photos per listing. Home builders need to set 15 photos as their new minimum, just like for the average resale listing. When it comes to posting compelling photos, use your smartphone if you must, but capturing images that inspire requires something extra. Often that means bringing in a professional photographer. Short, bulleted lists and introductory sentences about your homes work perfectly—until your prospect finds “the one” home that they covet. Then they will read and reread every word on the page. Don’t let them down with typical dry home builder descriptions about square footage and bedroom count. Instead, adopt the buyer’s mindset: How does it feel to live in the home? What details are going to make my family more comfortable? Does the early morning sun stream into the kitchen and breakfast nook? How connected will I be with my new community, and what do those connections look like? All these questions can be answered with a true descriptive story. Writer John Berger once said, “When we read a story, we inhabit it.” By getting prospects to inhabit your written descriptions, they can better visualize themselves owning the home and, following that, increase their desire to purchase it. Just a few years ago it was acceptable to create a slide show of still photos accompanied by a musical soundtrack and consider that to be your product video. Not anymore. Today’s consumers see video as a chance to get a better sense of the home’s design, the flow of space, and a truer experience of the home than photos alone can provide. None of that can be accomplished by slide shows. Full-motion video is now the standard. If you’ve done a great job with your written descriptions, then editing the video becomes far easier because you already have a narrative to follow or to use as a voice-over. Remember to set the mood with good background music. Stop using cold, lifeless product shots that are so-called “perfect” but lack character and emotion. Don’t resort to stock photos of smiling soulless people. Make sure your images, descriptions, and video tell a story that will speak to buyers’ hearts. Otherwise, don’t be surprised when prospects ask you for a discount or omit you from their short list for an in-person visit.